The Colorado Rockies have had a rough go as of late, now losing eight straight games, but they are going to be just fine. They have a foundation. They have a bright future. They have the right leaders in place to take them to the next level. The Rockies are about to be free of the tyranny of losing. The Continental Congress on July 2, 1776, held a vote for America’s independence. Two days later, the United States of America issued its declaration. Everyone had their own thoughts, and no one quite knew what America was going to become, yet they knew they wanted more for themselves and more for the future citizens of this great country. The citizens and people of this coarse new world and their appointed colonial representatives were very much split. Debating the principles of this new land, not yet knowing the ideals. The structure was very much a mystery. To become independent or not? To venture where danger lies in hoping for a better future, or to stay under British rule and serve the monarchy? The document was signed, and the birth of a new nation was underway. Now, this coming weekend we all get to live in this great country and celebrate. Celebrating by way of firing up new chrome barbeque grills, sitting on rectangular beverage coolers, flying newly purchased American flags and lighting up the smoke-filled night sky with the best fireworks Wyoming has to offer. The Fourth of July, our nation’s day of independence, is a special day, and a unique day we should all take part in and not take for granted. This day did not come without strife. It took work. It took time. It took sacrifice. Rome was not built in a day, and certainly neither was the USA. Sports teams, like nations, are groups of people with different ideologies, skill sets, beliefs and backgrounds. In order to move them toward their goal – winning – sports teams and their owners must maximize what they have in their citizens and build from a foundation. The Colorado Rockies have something to lean on. 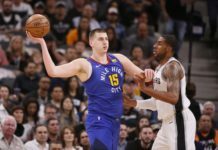 They have steadfast players – cornerstones of a franchise. The Colorado Rockies have a foundation. Guys like Nolan Arenado, DJ LeMahieu and Charlie Blackmon. These founding fathers of the new Rockies are not going anywhere anytime soon. They are solid players who you can count on. 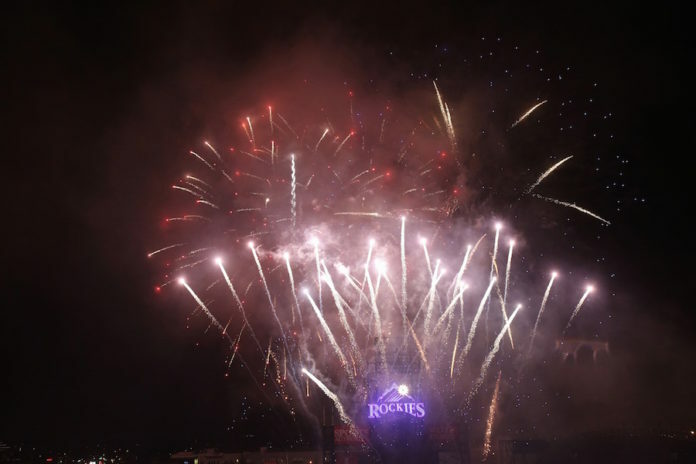 Much like the resolute fathers of this great nation – men such as John Adams, Benjamin Franklin, Thomas Jefferson – those aforementioned players are guys that fans and new Rockies players can look to. They are men who, no matter the circumstance, perform. These seasoned Rockies also know what it’s like to get through hard times. An eight-game skid doesn’t strike fear into these type of guys. They have been there, and know that rough waters are always bound to happen when traveling a long distance. In a 162-game season, there is bound to be a few rough patches, especially in a division like the National League West. The new Rockies also have talent. Talented arms, talented defensive skills, and loads of young talented depth. They just need time. Time to grow and hone their skills, time to grow as baseball players, and maybe more importantly, time away from the field. They need time off. While the foundational Rockies are just now getting into the groove, this young team, “The NEW Rockies” are hitting a wall right now. After this set of games who can blame them. For the Rockies, Thursday is their first day off since June 20. 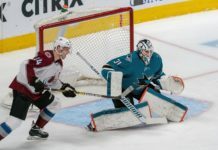 Since then the Rockies have played a red-hot Arizona Diamondbacks team, then traveled to L.A. to face the dominant Dodgers, and stayed out in California to finish up against the San Francisco Giants. Tomorrow starts another road series where they face off against the Diamondbacks for three games. This trip has taken its toll on the young guys, and you can see it. Defense is a young man’s game, and that is where the Rockies have fallen off the most. From June 3 through June 10, the Rockies allowed eleven total runs in seven games. That equates to 1.57 runs per game. During this losing streak, the Rockies’ defense and pitching staff has given up 66 runs in eight games, averaging 8.25 runs per game. Pitchers are leaving balls up in the zone, allowing hitters to consistently get base knocks and bigger mistakes are allowing for plenty of inopportune long balls. The defense is committing errors, and showing signs of fatigue both mentally and physically. Legs are tired and arms are weary. Plenty of mistakes are being made. If the Rockies plan on contending for the playoffs, let alone the NL West, this has to stop. Like the French coming to the aid of the U.S. in the revolutionary war, Jon Gray on Friday, will make his comeback and give aid to this worn out crew of youthful gunslingers. Simply adding ace Jon Gray will help the Rockies with depth. Maybe more importantly, it will add a little more time off for the next guy in rotation. Adding an ace to the front of a lineup adds more than just talent, it should add time. 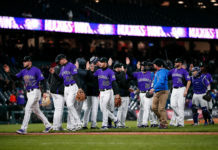 Gray has not pitched for the Rockies since April 13, when he pitched three scoreless innings and only gave up one hit before leaving the game with a stress fracture in his left foot. This put stress on this young Rockies staff, who were thrown to the fire. It made for relievers who were out of place, and made for rookies who had to grow up fast. Good teams have someone you can give the ball to, someone to take over the game, someone who you can trust in to make the losing stop. Gray needs to be that guy when he takes the mound. With some time off and the addition of Jon Gray, the Rockies are heading toward a bright and sunny future.